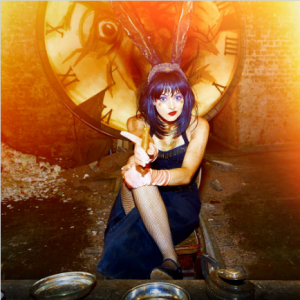 Girl Meets Dress brings you the chance to win tickets to the hit immersive ‘Theatre Extravaganza’ (STYLIST), Alice’s Adventures Underground. 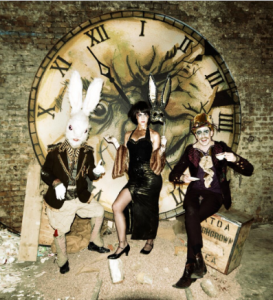 Returning after a sell-out run in 2015, the critically acclaimed theatre company, Les Enfant Terribles, in collaboration with ebp, invite you to fall deep into The Vaults, hidden beneath Waterloo station. Make a series of choices; Eat or drink? Grow or Shrink? And find yourself at the centre of the story as you wander through Wonderland, piecing together the puzzle as to what has happened to Alice who is lost in the looking glass. But be careful! Your choice determines your path. You might grow to enormous proportions and become one of Wonderland’s elite, rubbing shoulders with the highest of playing card suits…or you might shrink to be so small that even boarder control can’t detect you! 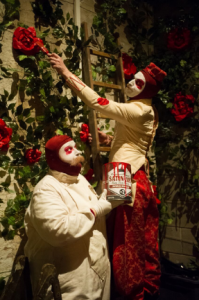 Take tea at the biggest un-birthday party with the maddest of Hatters, let the Cheshire Cat take you hither or thither and find yourself playing a key part in an underground resistance movement to rise against the fearsome Queen. The clock is ticking. So what are you waiting for? Enter our competition now! Upgrade to a premium ticket and receive a frabjous tea party cocktail, an Alice programme, one of the Queen’s edible treats and another cocktail in the Wonderland Bar after the show. Posted March 16th, 2017 in Competitions. Tagged: Alice in Wonderland, Alice's Adventures Underground competition, competition, Designer dresses, Dress Hire, Dresses, Girl Meets Dress, Hire dresses, Show competition, Theater, theater competition.